Video games, unlike any other medium, offer the opportunity to help socialize children who have Autism. As an educator, I have an interest in researching how video games can help us to better understand learning through interaction, play, and experience. Despite their often negative reputation for being a “waste of time,” video games still provide us with a unique medium of entertainment because they require direct interaction from the player. This aspect introduces a new dimension in how forms of entertainment and media affect us, especially in fields like medicine and psychology. Research shows that simulation games can help mitigate the effects of Post-Traumatic Stress Disorder (PTSD). Studies have proven that strategy games can help offset or alleviate the symptoms of dementia by exercising the connections of nerve synapses in the brain. Yet these are only two out of the plethora of disorders that plague children and adults alike. We still have so much more to learn. Autism spectrum disorder (ASD) consists of a wide range of disorders that stem from neurodevelopment issues; it is characterized by difficulties socializing or communicating with others. While there is a spectrum of severity in which ASD falls into, it is always life-altering, and unfortunately, there is no cure. As with many psychological disorders, the complexity of the human brain and genetics makes it difficult to determine exactly what causes ASD or who could be predisposed to developing it. However, the symptoms of the disorder tend to improve with age and various forms of therapy… one of which now uses video games. 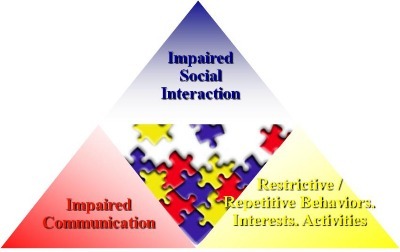 Social interaction is one of the largest struggles children with ASD encounter. They often have trouble communicating their own thoughts and have a difficult time understanding others–an aspect that can make them fearful or leery of those around them. Because of this, these children can close themselves off from almost everyone, even their parents. This is where video games enter the equation. Like many other collaborative experiences in life, video games can make social interaction a necessity to progress through them. However, the difference is that games don’t require a direct social interaction, making it a less frightening experience for those who have ASD. Realizing that games provided the opportunity for people to interact with one another indirectly, a research group of computer engineers at the University of Michigan hacked Microsoft’s motion sensor camera, the Kinect, in order to make games that could possibly be used to treat ASD. Teachers and therapists jumped into the program with excitement. After years of research, mind-numbing tests, and little movement forward… there was finally a catalyst. As children suffering from ASD began to play the games created for the study, a large shift was seen in their behavior. They were actually interacting with on-screen avatars with ease. To the children playing, the world in the games became predictable because it followed logical and obstinate rules; because of this, they understood it. They were comfortable with it. As a result, isolated children were given an opportunity to interact with their own classroom in a calming and less stressful way. They opened up with their peers and teacher: what they were feeling, what they wanted, what they loved, what they hated… all through an on-screen avatar. The technology in the Kinect also allows for in-depth collaboration. The power of the motion sensor combined with a game like Tim Shaffer’s Happy Action Theatre create moments that therapists previously worked years to achieve. At a center I volunteer at, I watched as two fantastic students, both with severe cases of ASD, interacted directly with their environment and each other. As their attention was drawn towards their characters, they began to communicate. They provided instructions, directions, and help. They high-fived when they did something right. They commented on things that happened to their characters. They laughed. They moved in unison. They sang and smiled. They were eventually able to look to their avatars and discuss their issues. This was an outpouring that made them comfortable enough to eventually approach their teacher and open up about what they dislike about school and how they were tired of being mocked or judged by others. Though the children became more withdrawn when they stepped away from the consoles, the fact that they began to discuss things more openly and address their peers is proof there are steps being taken in the right direction. Outside social aspects, using the Kinect or even controllers can also help improve fine motor functions which are often lost in extreme cases of ASD. Games like Minecraft, World of Warcraft, and even simple apps like Draw Something give children an outlet that allows them to create and collaborate in ways that often require them to think critically, analyze situations, and communicate. We walk a fine line in bringing video games into medical research. While games are proving to be tremendously productive in therapy and education for ASD, it’s also important to keep an eye on the overall goal—to get them to look past the avatar towards the person they are communicating with. To get to the point where they can unplug and have confidence and trust in others. Video games can be a bridge, but they should never be used as a crutch. Conversely, we need to stop closing doors to new ideas simply because something may carry a negative connotation. Research and curiosity, more often than not, flourish in open opportunities.